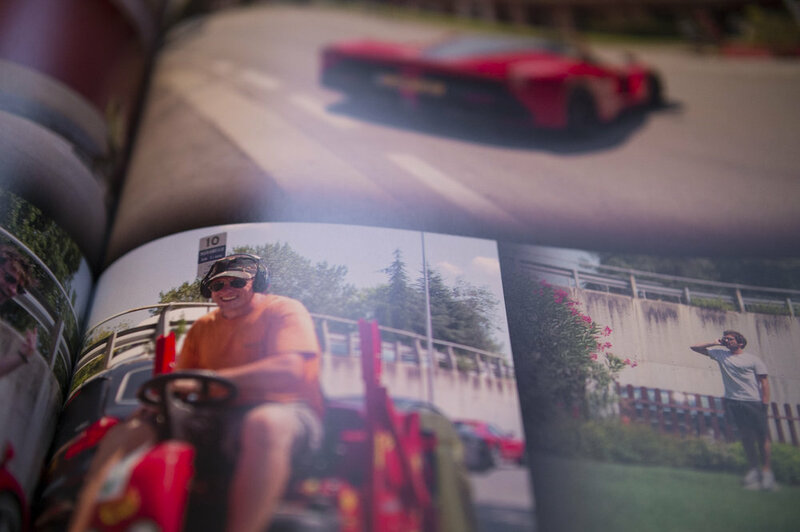 These two books document two journeys from London to Maranello and back. The first journey took place in July 2014 . 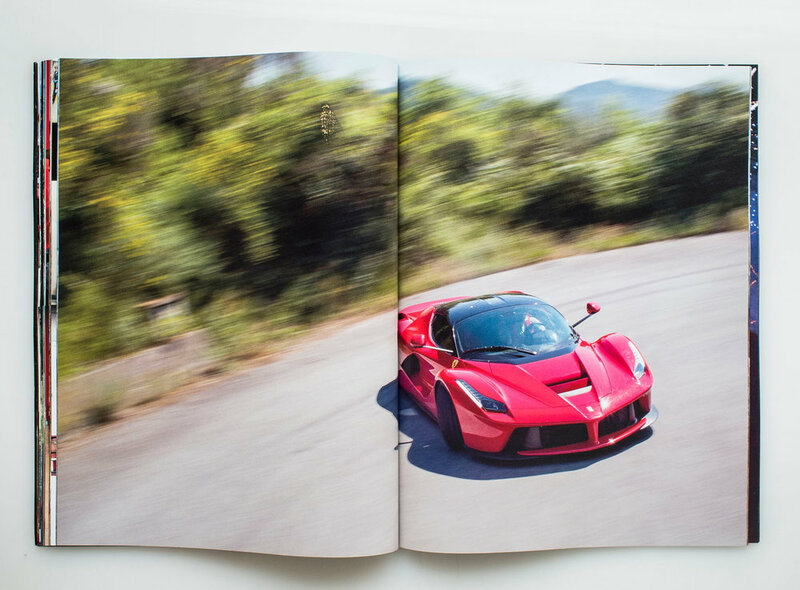 The book's subject is a convoy of historic Ferarris and their drivers journeying to the factory in Maranello to pick up the newly released 'LaFerrari' vehicle. The photographic intention was to capture something of the unique spirit of the event, in its people and the places visited. The second journey took place in April 2017. 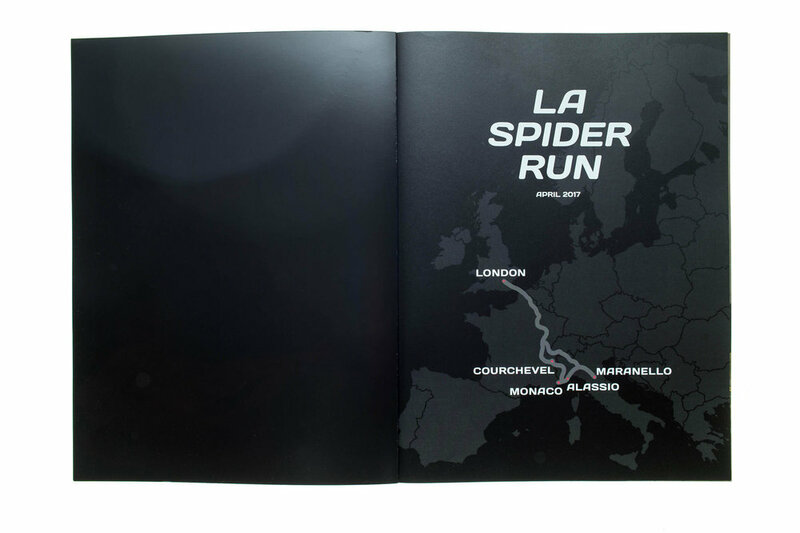 The convoy was added to and this time the journey's aim was to pick up the newly released 'LaFerrari Aperta', or spider as it is often known. 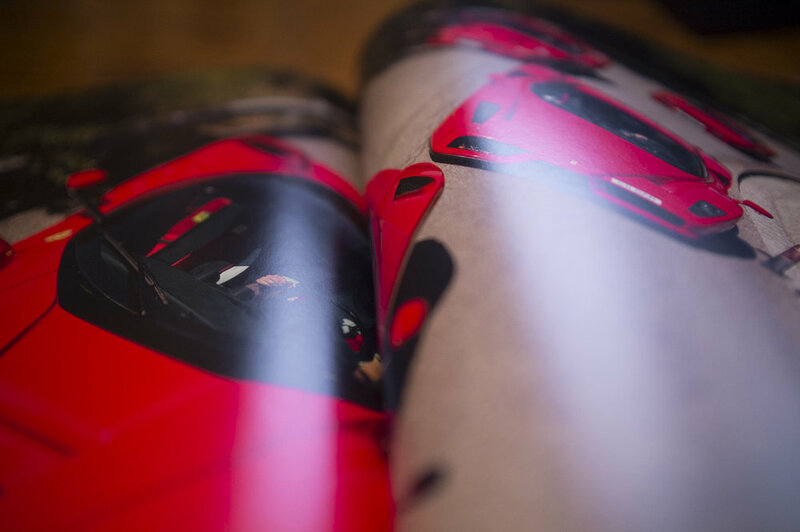 The books are made with the story of the two journeys, and the people and the cars on it, at the centre. 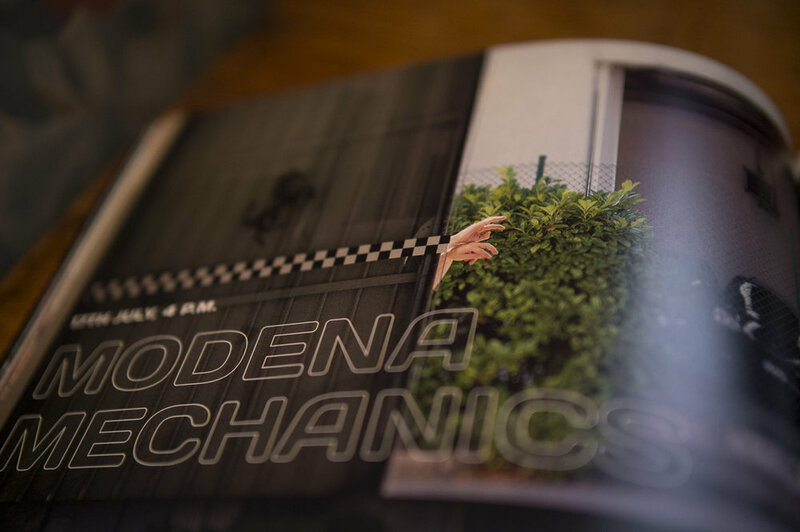 The cover design was a detailed process working through many iterations. 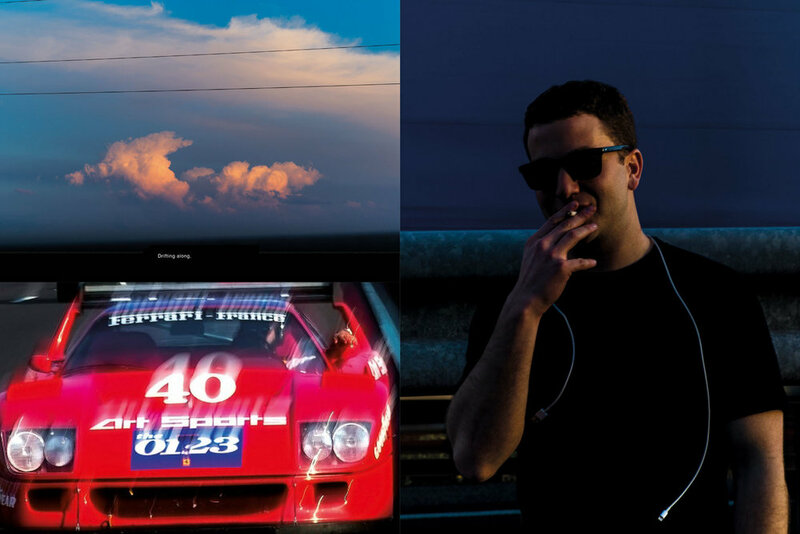 I wanted to bring forth the form of the cars in unusual and striking perspectives. 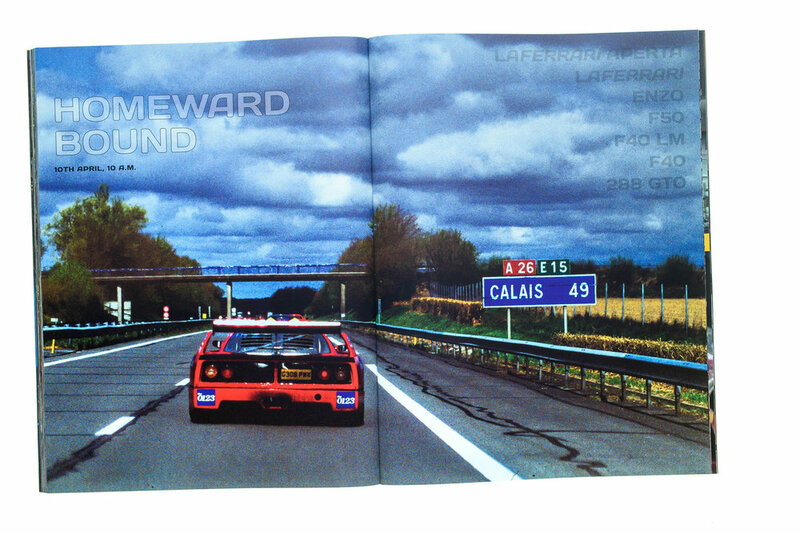 The photographs from the journeys themselves provided the starting point for the design. The font selection and black and grey palette were selected in order to present the vehicles in a striking manner. 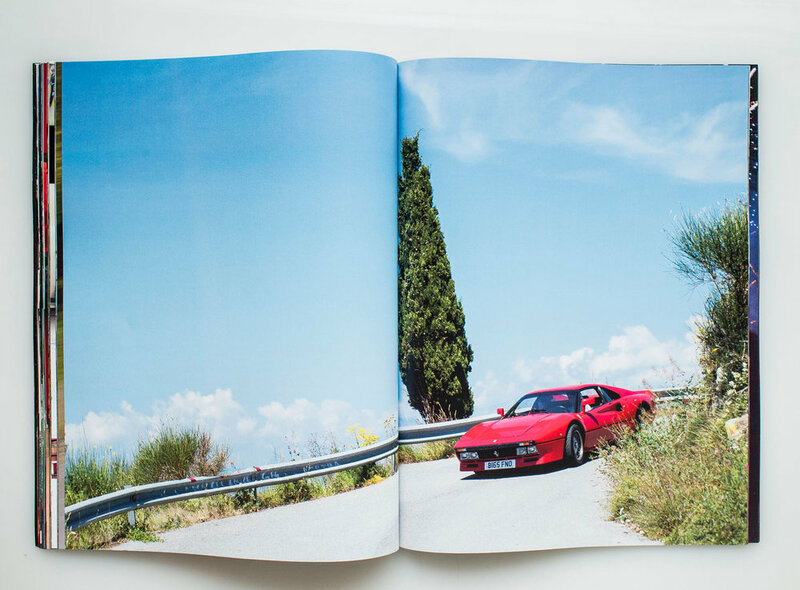 It was important that the book reflected the colours of the journey and in particular the subtle hues of each Ferrari. Even though each Ferrari is Corso Rosso the hues and surface qualities of each one subtly vary. The ink and paper were selected with this in mind. 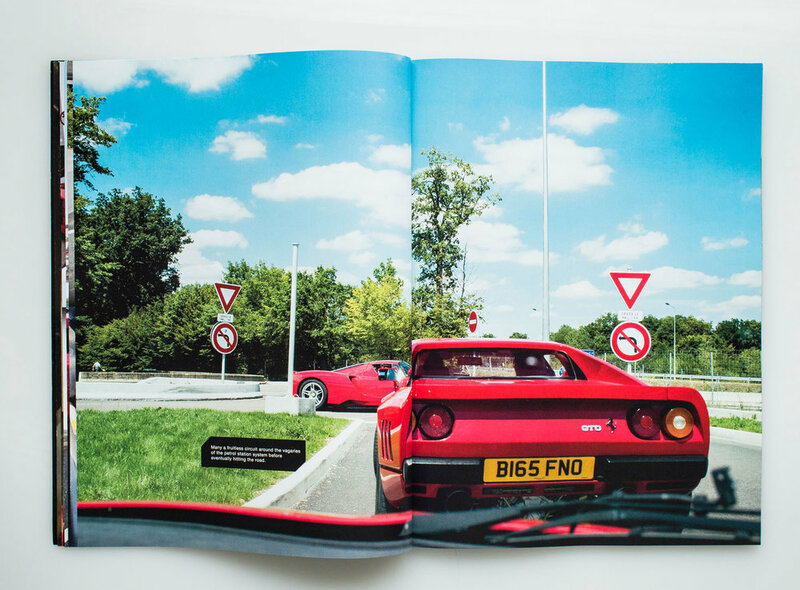 Each book was produced in a limited print run of less than 20 copies each. This was a remarkable and unique event. 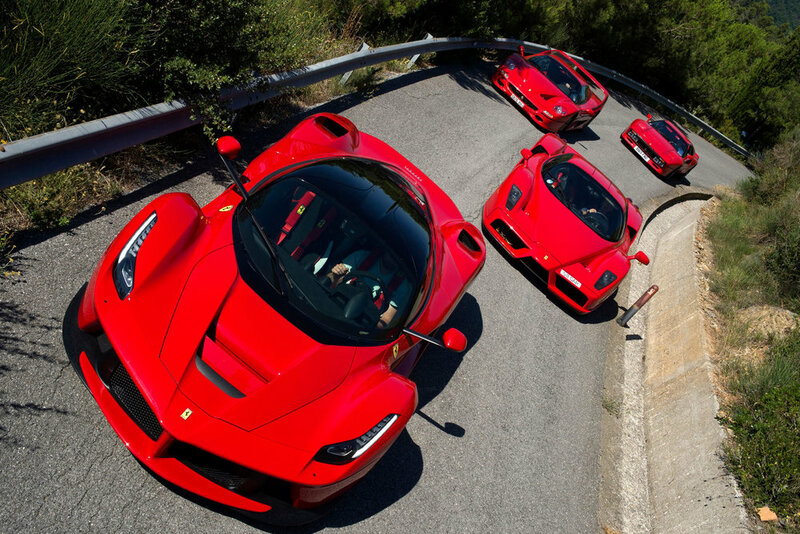 The trip included the historic 'F' line up of Ferraris: 288 GTO, F40, F50, and Enzo, and went on to include the new LaFerrari after it was collected from the Maranello factory. The 'Spider Run' involved additional vehicles from this historic car collection. 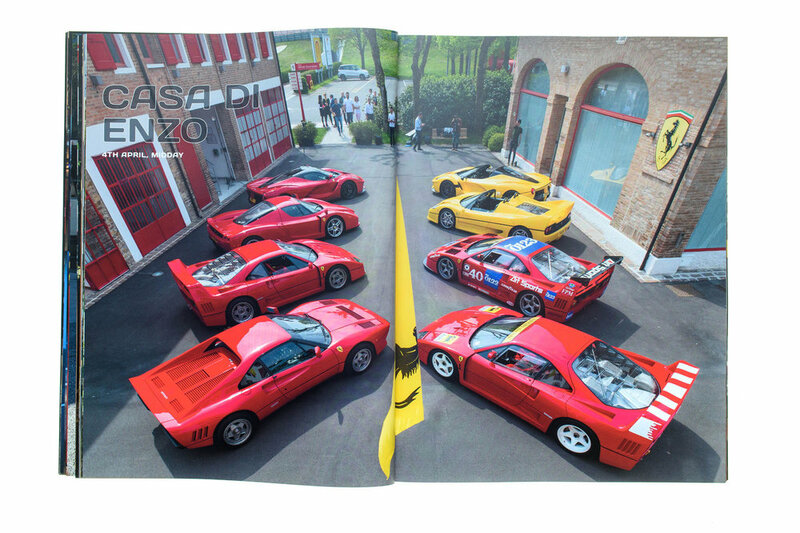 The cars that took the journey included the 288 GTO, 288 Evoluzione, F40 LM, F40 GT, F50, Enzo, and LaFerrari, and went on to include the LaFerrari Aperta once it had been collected. This is a selection of the layouts used for printing the books. Seen below is an installation of ink infused aluminium panels. These were made to mirror the layout of the book spreads. The ink infused aluminium process provides the richest colours available in a digital photographic printing process.